Gabriella was the AOP Reserve Grand Senior Doe and 2nd best udder at the 2016 NAILE in Louisville, KY. She was also part of the first place Dairy Herd, Best Three Senior Does, and Get of Sire at this show. Udder photo made 5/30/2015 when Delmina (left) and Gabriella (right) won the Dam & Daughter class against all breeds in Monroe, GA. This was Gabriela's first freshening and she had been in milk for almost 10 months. 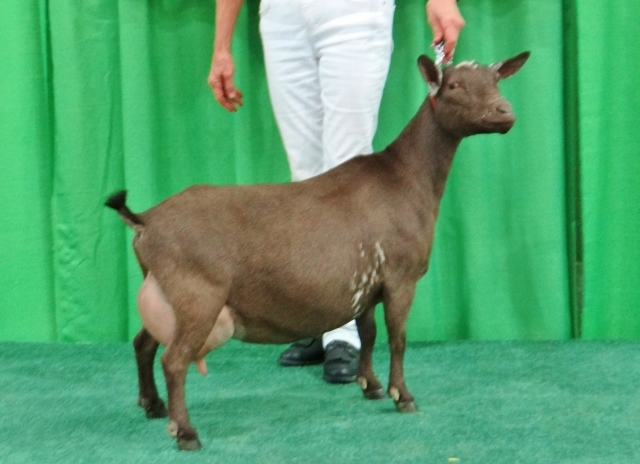 Reserve Champion Senior doe at the South Carolina State Fair 10/19/2104 as a First Freshener. 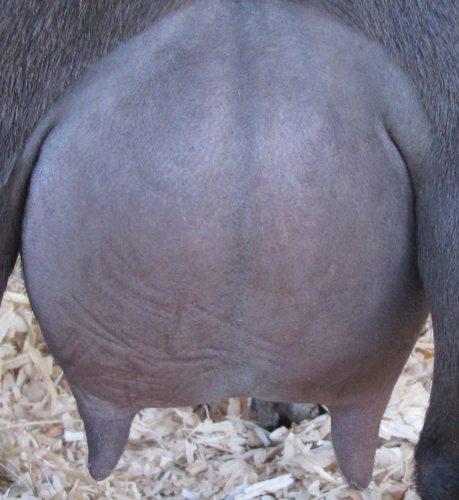 Grand Champion Senior Doe , Best of Breed, and Best Udder at the 2015 South Carolina State Fair. Grand Champion Senior Doe at the McCracken Co. Fair, Paducha, KY 6/25/2016. (ring 2) Reserve Grand in Ring 1 and now a finished champion.